Romen Buffalo (guitar/vocals), Paddy Bison (banjo/guitar), Scotty Steer (dobro) “Marconias the Bull” (mandolin) and Smokey Joe El Toro (upright bass) are Romen Buffalo and The Loyal Order. 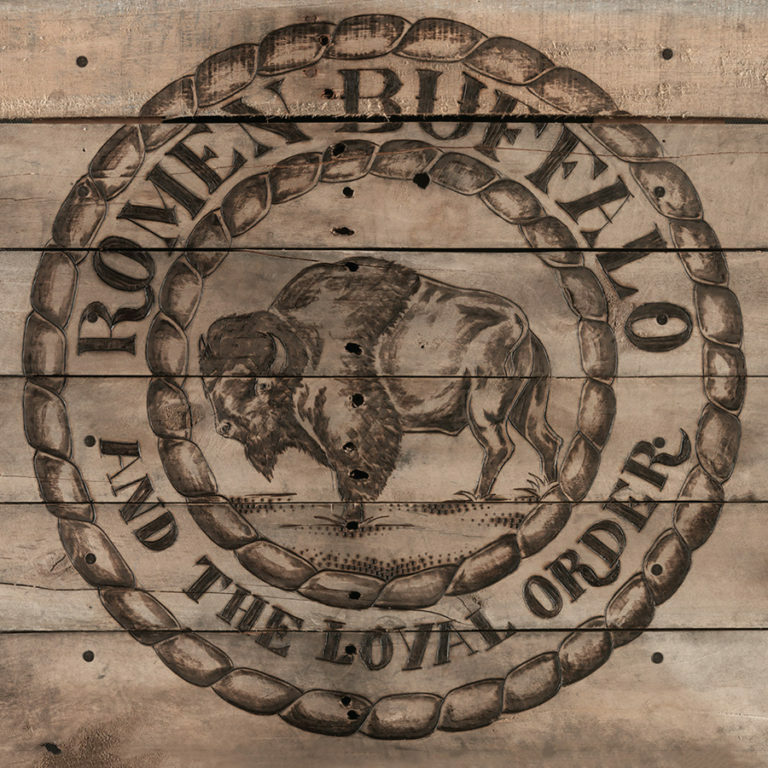 This exceptional band from Phoenix, AZ recently released a seven-song self-titled album Romen Buffalo and The Loyal Order. The band plays a mix of Americana, folk and bluegrass. I love all sorts of music but I swear nothing beats a rich organic album full of strings on a Sunday morning. Their music is uplifting, fun and often technically demanding. Each song has a slightly different flavor while never veering too far into the fringe. The band starts off with “Garden Girl” which is one of the catchiest songs on the album. I especially enjoyed the vocal harmonies on this track. They add some substance on the chorus. Your ear will very happy with this song as the tones and textures are warm and welcoming. “Bittersweet and Cold” is an emotionally resonant song. The instrumentation is fantastic but the vocal performance is so powerful that everything else blends into the background. “From the Bottom Looking Down” tricks you into thinking this is a slow song. Nope, this one is a knee slapping, fast song that will surely get people on the dance floor. The banjo work is top notch as is everything else. “Committed No Sins” might be the best drinking song since the Dropkick Murphys. Not only is drinking mentioned in the song (the guy in the song has been drunk for a week) but the clapping really makes you feel like taking down a pint. “What To Leave Behind” does have some well earned melancholy in there while the closer “Cousins” has a tinge of optimistic sounding nostalgia. ​This album is money in the bank. There isn’t a single track that felt like a dud and the band doesn’t overstay their welcome. Don’t hesitate with this one.